Justin McDonnell speaks with author Pallavi Aiyar on the Indonesian elections and the India-EU connection. 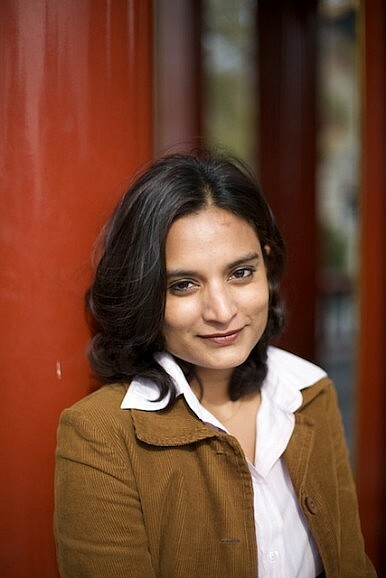 The Diplomat’s Justin McDonnell speaks with Jakarta-based foreign correspondent Pallavi Aiyar, author, most recently, of Punjabi Parmesan: Dispatches from a Europe in Crisis, on the upcoming election in Indonesia and why India is like Europe and China is like the United States. Europe seems to be in decline. High levels of public debt. A long-term unemployment crisis. And now it’s swinging right with anti-EU and nationalist parties coming to power. Can Europe restore itself to its former glory and possibly compete in a rapidly changing globalized world? Europe today is certainly facing a complex, interrelated set of crises. There is a crisis of demographics, with the continent’s already aging workforce set to shrink by a million every year for the next few decades, a trend that has forced the thorny issue of immigration into relief. There is also a crisis of competitiveness, as large Asian challengers like China, in particular, but also India and others, alter the rules of global business. There is, moreover, the crisis of the design and legitimacy of the European Union. These have combined to highlight the unsustainability of Europe’s famously generous welfare states, which have for decades been at the heart of the so-called European way of life. The 2010 euro crisis and its aftermath have served to hasten and sharpen trends already set in motion by the gradual eastward shifts in economic power over the last two decades, or so. Yet, Europe remains in a very privileged position compared to most of the world. Even post-euro crisis, about half of the world’s trade in goods and services involves Europe, two-thirds of which stays within the region. The legacy of the euro crisis for Europe could still turn either way. We might conceivably find a more coherent Europe with greater fiscal and political harmonization emerging phoenix-like from the ashes of the region’s current travails. But we might also find, as the recent elections to the European parliament indicated, a fractured Europe, bereft of legitimacy and direction. The point is that even in the best-case scenario the fact that Europe will have to accept is that the contours of world power have altered. For Europe this means a smaller, more equitable, share of the global pie, which is not a bad thing from the perspective of the rest of the world. You describe Indians as the Europeans of Asia and Chinese as the Americans of Asia. What do you mean by that? It struck me how in many ways the Chinese were the Americans of Asia, while the Indians were the Europeans. As players on the international stage, the United States and China are both goal-oriented and able, at a pinch, to act decisively in their national interest. Despite the existence of internal divisions they are coherent entities that speak with a unified voice. Backed by hard power, their strategic planners take a long-term view of evolving rivalries and alliances. In contrast, the Indians, like their European counterparts, are notable for the glacial pace of their decision-making. Constrained by the workings of coalition politics, both the EU and India valorize plurality and argumentation over actual outcomes and performance. They often appear unable to articulate a clear vision of their core interests, with internal factiousness hijacking unified, long-term agendas. But despite the similarities, or perhaps because of them, neither India nor the EU was particularly engaged with the other. Rather, the U.S. and China formed the twin poles of their (once again) common strategic fixations. Ultimately both India and the EU were in essence soft powers, beguiled by and envious of the hard muscle shown by the Americans and Chinese. What can India learn from the EU experience? What might Europe learn from India? The EU represents both an idealized hope and a cautionary tale for India and other South Asian countries. South Asia remains one of the poorest and most backward regions of the world. Revitalizing regional trade and economic links between the countries of SAARC could potentially have dramatic benefits for all. If countries like Germany and France have found a way of overcoming their blood-soaked history, it is proof that historical enmity does not have to preclude cooperation ad infinitum; that economic imperatives and statesmanship can enable a break from beggar-thy-neighbor mentalities and damaging patterns of behavior. India can also learn from the EU’s mistakes and design flaws. The euro crisis has certainly flagged the perils of putting the cart before the horse, as with countries signing up to a monetary union in the absence of fiscal centralization. But there is also much that the EU can gain from India’s experiences. In some ways India is a proto-European Union, having stitched together a large region of diverse social and cultural fabric into a political and economic union. Like the EU, it is the antithesis of the concept of the 19th century European nation state where a single religion, a single language and a common enemy form the “natural” basis for the only sustainable kind of political unit. Over the course of its 60-plus years as an independent nation, India has been testament to the fact that it is possible to successfully create a strong, common identity out of seemingly fractured multiplicity. Were the European Union to care enough to look, India could serve as a hope, if not guide, to the EU’s own momentous project of rejecting the homogenizing tyranny of the “nation” state and instead choose to celebrate difference and aggregation. Southeast Asia’s biggest economy, Indonesia, is looking to get ready for its third presidential election, which will take place on July 9. Much is at stake, as both presidential hopefuls – former Jakarta governor Joko Widodo, and former Special Forces commander Prabowo Subianto – square off to succeed President Susilo Bambang Yudhoyono. Who’s favored to win? How might the next incumbent enhance the performance of Indonesia’s democratic system, education, as well as clean up the political corruption that continues to plague the nation? Joko Widodo, along with his running mate, the former Vice President Jusuf Kalla, are the frontrunners. However, Jokowi’s (as Mr Widodo is universally known) lead over Prabowo Subianto has been narrowing ever since his party, the PDI-P (Partai Demokrasi Indonesia Perjuangan or Indonesian Democratic Party of Struggle) underperformed in April’s legislative elections. What was once a seemingly unassailable 30-point lead, is now down to 10-15 points, which means we have a real race on our hands. The two contenders for Indonesian president are radically different in style, but perhaps less so on policy. Jokowi is slightly built, and humble; the quintessential political outsider. He resonates with the electorate because of his common touch. The son of a carpenter, Jokowi was a furniture salesman, before entering the political fray in 2005. He began his career as mayor of a mid-level city, Solo, and was eventually elected as governor of the nation’s capital, Jakarta, in 2012. Jokowi eschews the tangible tapings of power like fancy cars and security details. He likes to walk around public markets and squares listening to people’s concerns first hand. He is a proven consensus builder with a penchant for supporting small-scale businesses. An anti-corruption crusader, Jokowi’s personal integrity is unassailable. Prabowo, on the other hand, is a former general, thoroughly entrenched in institutional power structures. He is military dictator Suharto’s son-in-law and continues to be dogged by accusations of human rights abuses as the head of the Special Forces towards the end of the Suharto era. Prabowo has a great sense of the theatrical. He is known to helicopter into sports stadiums full of bussed-in supporters and ride around atop muscular horses. He talks tough, harking back, if only implicitly, to the “order” of the Suharto regime. He is known to be temperamental and easily angered. His appeal for the electorate lies in his image as a strongman who can rid Indonesia of its “weaknesses. On policy issues however, the contenders have been stressing similar issues such as the importance of ensuring national sovereignty and resilience. They have both promised to make food security and energy security a priority. Both men want to do away with costly fuel subsidies, but advocate different ways to lessen the burden on the economy. Jokowi aims to cut the subsidies and raise fuel prices slowly over the next four to five years. Prabowo says he will keep fuel prices at current rates but impose measures to ensure subsidies are only used by the poor and lower-middle class. On the issue of economic reforms and foreign investments, Prabowo has been swinging both ways. To an international audience he has focused on his background as a businessman and talked about the importance of attracting investment to further develop Indonesia. But in more domestically focused appearances he has stressed resource nationalism and sworn to protect indigenous interests against “rapacious” foreigners. If elected, Jokowi is likely to focus on creating a more enabling environment for small and medium enterprises. He will also attempt to fight graft and establish more accountability in government – as he has done as Jakarta governor. Since both Jokowi and Prabowo will rule as part of coalitions, their room for maneuver will be constrained. The coalition cobbled together by Prabowo is particularly unwieldy and ideologically incoherent. A Jokowi win will be a huge symbolic victory for democracy’s power in Indonesia. And given his penchant for mediation he is also more likely to be effective in a coalition than Prabowo. As Indonesia continues to become a rising political power, will we see it assume a greater role in regional leadership among other ASEAN member states and elsewhere? In a region dominated by behemoths like China and India, Indonesia can sometimes find itself in the shade. But increasingly, this populous, Muslim-majority democracy, is feeling confident enough to assert its presence on the international stage. While size gives it clout, Indonesia does not have direct stakes in the rivalries that roil the region. It is therefore a natural choice for the crucial role of mediator in a neighborhood increasingly shaped and squeezed by China’s rise on the one hand, and the United States’ “pivot” to the region, on the other. Indonesia’s bridge-building skills are most needed and have been most obviously on display [in] the South China Sea. With fierce disputes breaking out between an ascendant China and many of ASEAN’s ten members, notably Vietnam and the Philippines, it is Indonesia that has emerged as the soother of ruffled feathers, nodding understandingly at the concerns of all parties, while nudging them towards dialogue. Since 2008, Indonesia has held the Bali Democracy Forum, an annual meeting that seeks to strengthen democracy in Asia. This kind of preaching is more often undertaken by prescriptive actors like the European Union. But since it comes from another Asian country, participants, even the less-democratically inclined amongst them, tend to be more open to listening than might be imagined. As a result, Indonesia has calibrated, without breaching, the principle of non-interference in the affairs of other countries, usually a red line in this part of the world. It has emerged as the country that talks most forthrightly about issues like human rights and was influential in pushing through the 2012 ASEAN Human Rights Declaration, although the final outcome was weaker than many hoped for. Compared to Asia’s largest powers China and India, Indonesia’s foreign policy is subtle. China is widely perceived to be nationalistic and aggressive, a goliath with a club in one hand and contracts for lucrative trade deals in the other, a strategy that might win it some accomplices but few lasting friends. India’s arrogance and inflated sense of its self makes it a reluctant and less-than-effective actor in multilateral fora. Indonesia, however, seeks strength in alliances and valorizes mediation away from the spotlight. Of course Jakarta faces many challenges in its foreign policy. It is difficult to be everyone’s friend in a polarized world. Were conflict to break out in the South China Sea, for example, Indonesia’s policy of equidistance would no longer work. Moreover, a worsening domestic track record, with the economy in a slump, and accusations of growing intolerance against minorities, will rob it of the hard-won moral authority it has gained over the last decade. Anthony Fensom and Colin Brown discuss Jokowi's prospects for reforming Southeast Asia’s largest economy.